Sandy Logan – Beasley & Associates Inc.
WILLIAM (SANDY) LOGAN is the principal associate of Beasley and Associates, an international planning and urban design consultancy. He is a Senior Project Manager with expertise in human and health services, community planning, organizational change and development, business and personal coaching and group facilitation. As a seasoned professional, Sandy Logan has over three decades of experience in project management in the public and private sectors. For many years as a senior manager in the Government of British Columbia, he was responsible for the development and implementation of two of the largest computer systems used by the provincial government. These systems reorganized the delivery of human services for a significant portion of the public in the Province and significantly and permanently impacted the job responsibilities of thousands of employees. Then, Sandy Logan was employed, for seven years, by IBM Canada as a senior consultant in the Human Services Global Practice Team. Fulfilling this role involved consulting with the leadership of a number of governments in the Western world. Sandy was IBM’s Project Manager on a number of government undertakings involving significant organizational change. He was a member of IBM’s team responsible for project risk assessment and mitigation. This included the renegotiation of troubled projects. For the past several years with Beasley and Associates, Sandy Logan has worked internationally on large urban design and urban planning projects. These included the following key projects. Abu Dhabi – From 2006 through 2011, Sandy Logan was the Project Manager for the multi-disciplinary planning and production team convened by Beasley and Associates (including Civitas and Perkins+Will Canada) responsible for the development of the Abu Dhabi 2030 Plan, the Al Ain 2030 Plan, the Al Gharbia 2030 Plan and the Al Ain Region 2030 Plan. He was intimately involved with all phases of these 2030 Plans – from inception, through development, completion and delivery. During this time he organized and managed the complex logistics of major charettes and the various workshops that were fundamental to the success of these 2030 plans. He was the lead customer contact. He served as the health and community services expert at the charettes. He was also the Project Manager for the Capital Cities workshop that was the genesis of the Capital City District Master Plan. He was the Project Manager for The Emirate of Abu Dhabi’s Public Art project. This entailed the organization of a large public art charette and subsequent consultation with the Sheikha Salama Bint Hamdan Al Nahyan Foundation – the sponsor of this project. He introduced IBM’s Smarter Cities initiative to Abu Dhabi’s Urban Planning Council and continues to be involved with IBM’s Smarter Cities team. Dallas – Sandy Logan is playing a major leadership role in a program to fully integrate leading urban design practices into all functions of the local government as well as the development community. 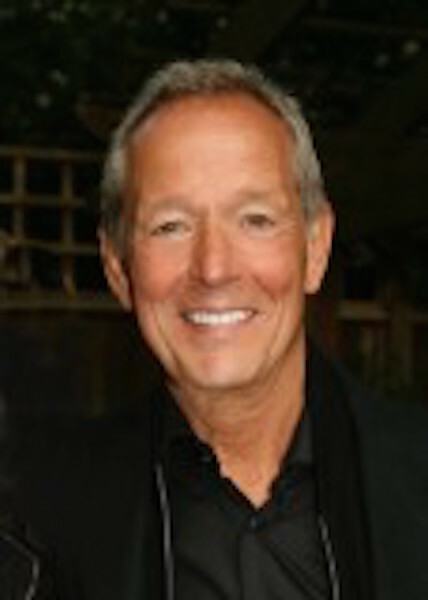 Toronto – Sandy Logan played a key and extensive role in several recent projects. This included development of the City Planning Division’s Strategic Plan 2013 – 2018. This Plan has won wide-spread acclaim and has been used to fundamentally re-orient the way the department works internally and externally in a very challenging and demanding environment. In a separate assignment, he co-facilitated a ground-breaking accord for a significant waterfront development between the local government and Pinnacle International, a large Canadian development group. Moscow – Sandy Logan was part of a multi-disciplinary planning and urban design team (including Urban Design Associates, Gillespie’s, John Thompson and Partners, Beasley and Associates) that developed a competition winning plan for the expansion of the city and a new National Capital District for the Russian Federation. Sandy Logan has also provided separate professional services for key Vancouver projects. University of British Columbia – He recently co-led the development of a strategic directions plan for the university’s Campus and Community Planning Group. The Rennie Group – For the past seven years, he has provided organizational change and development advice to this group, which is one of the leading condominium sales, marketing and design firms in North America. In addition he has been coaching the future leadership of the Rennie Group of Companies in preparation for a full turnover of the management structure and organization. Sandy Logan has a degree in Psychology and Political Sciences (BA) and has had extensive complimentary training and education.